Lauren was first introduced into the STEM Innovation Project by her Navigator in North Tyneside, as she is interested in environmental volunteering. Lauren is also interested in helping to shape health services by talking about her own experiences, as she was first diagnosed with a mental health issue when she was 15 years old. When she engaged with MOTW, Lauren was looking at ways of moving forward and she felt that volunteering would give her the opportunity to do some positive things with her time, as well as help her to get to know the community around her. The main thing that Lauren wanted was to have some support and to do things at a pace that was right for her. Lauren has felt extremely isolated since experiencing mental ill-health, and felt that by getting involved in the STEM Innovation Project she could push herself out of the comfort zone she has created and back into society. She wanted to meet new people and feel that she was part of something. The STEM project’s Volunteer Co-ordinator, Claire, worked with Lauren to explore her interests in volunteering and they started to look at local opportunities that she could walk to in her own community. 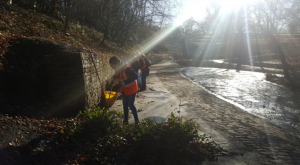 Lauren and Claire went to visit Wallsend Park, where they met with the Park Ranger and a group of volunteers that support tasks at the park each week. Lauren felt comfortable with the group; they were welcoming, supportive, and looked forward to having her as part of the team. 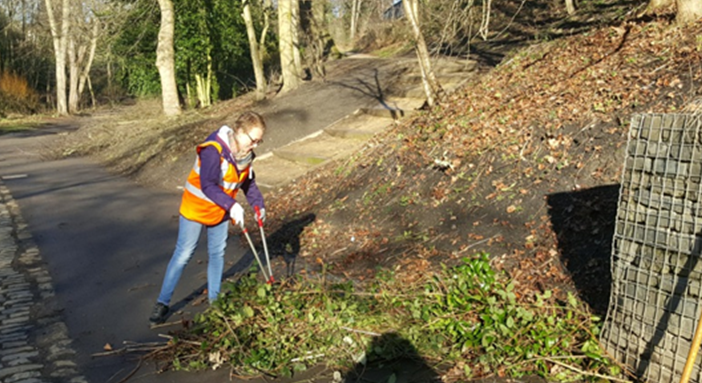 Lauren has now been volunteering with Wallsend Park as an Environmental Ranger for three months! 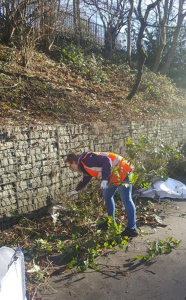 She enjoys being outdoors; taking part in the practical, physical tasks; and has got to know the other volunteers. As well as her environmental interests Lauren also wanted to explore opportunities to support health services; Claire Howard spoke to Healthwatch North Tyneside to arrange a meeting with them to talk about the roles available. Lauren has now started her induction as a Healthwatch volunteer and has attended events to gather the views of the public on health services in North Tyneside. ‘Before I was referred to MOTW I was very depressed, lonely, isolated and had low self-confidence and self-esteem. Before I was diagnosed with my conditions I had struggled with my mental health which had an effect on me holding down jobs. I left a lot of jobs due to my mental health and was told that it was better if I didn’t tell employers about my mental health issues, because of the stigmas attached. I have had lots of work experience previously, working in retail, optics and customer-facing sales. I now want to look at roles that would be more supportive and that I would enjoy more. However, I need to take things slowly and I felt volunteering would help me. I am now volunteering at Wallsend Park. We have done a lot of gardening and other activities. I have met some really nice people and they have made me feel part of the team. It has helped me to get out of the house, spend time outside, and get some exercise. At Christmas I went out for the get-together, which was the first time I have been out socially for many years. MOTW and the support from Claire has opened up my life to giving and helping in the community. I feel that I have benefited from being part of the project and I feel better about myself. I had not considered volunteering before, as I felt I had nothing to offer, but that has now changed and I hope to do more in the future as well as eventually getting a job. If you would like to get involved in the STEM Innovation Project, click here to find out more.